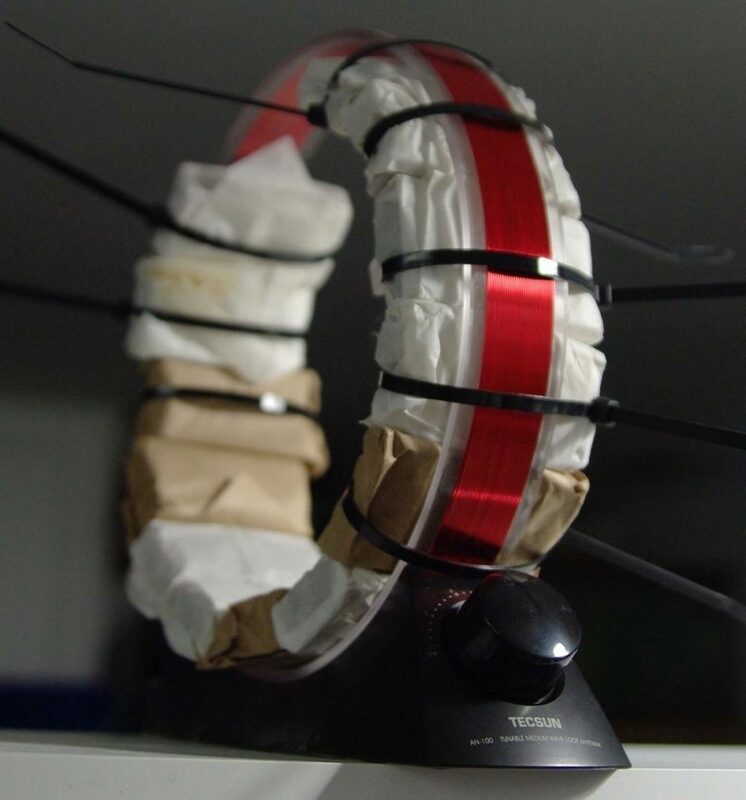 Here is a handy tip for those using small magnetic loops, like the Grundig AN-200. 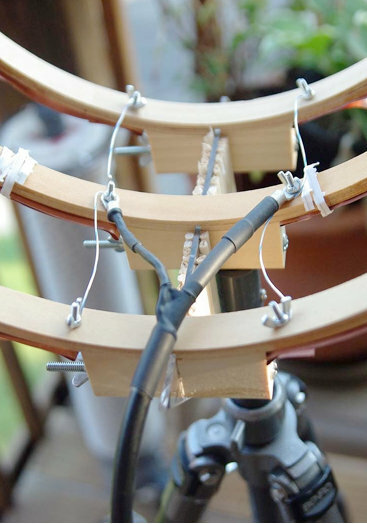 Using a simple Lazy Susan makes rotating the loop a lot easier as in the picture attached. 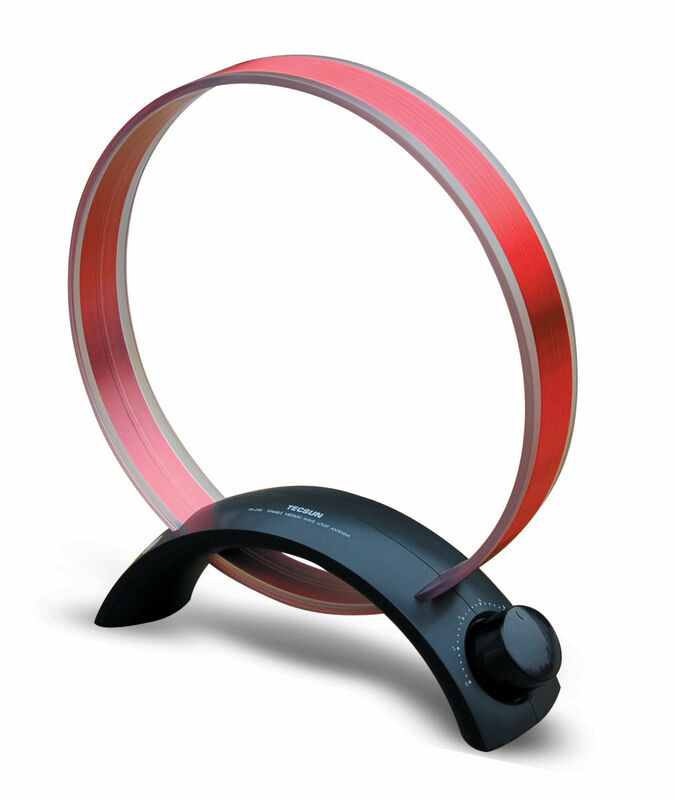 It gives you a very smooth 360 degree rotation using a simple flip of a finger. Lazy Susans come in all sizes and luckily I had one already which fits the AN-200 perfectly. This is a handy tip, indeed! In fact, I once spoke with a mediumwave DXer who told me that when he prepares for a DXpedition, he packs the Lazy Susan before he packs his portable’s batteries! Lazy Susans are quite easy to find. Most “big box” retailers have them, Amazon.com has a massive inventory (affiliate link), IKEA and I’ve had incredible luck finding them at thrift stores for next to nothing! In fact, if you have a local thrift store with a large selection of kitchen accessories, you’ll likely find a Lazy Susan or two on the shelves. Thank you for the tip, Mario! This entry was posted in Accessories, AM, Antennas, Mediumwave, News and tagged Grundig AN200, Lazy Susan, Mario Filippi (N2HUN), Mediumwave on March 9, 2018 by Thomas. Created a prototype mini-loop based on a crossed-parallel idea from VE1ZAC (Jeff). Added a balun from LNR Precision (Parfitt’s EF-SWL) in an experimental configuration. Added to the balun, an outdoor amplifier – Wellbrook ALA-100M. Added a noise canceling unit (MFJ-1026). Added 2 preselectors, an old Grove TUN-3 connected to the main loop feed and an MFJ-1046 connected to the ground connection of the balun. Both feeds go into the MFJ-1026. Added BHI Compact In-Line DSP filter and two switch boxes to cut it in/out as needed. Added a medium wave noise canceling unit that I have not figured out how to use yet. (Quantum Phaser). The MFJ unit does not work on medium wave without modification. Purchased from eBay a used Grundig Satellit 800, a somewhat more robust fixed-station receiver to replace my aging Sony ICF-2010. Other non-related (not shown): Whistler digital scanner + UHF over-the-air TV + FM broadcasts + an AM/FM HD digital radio + high pass filters from MiniCircuits.com – (audio from all these sources is passed to an existing high fidelity stereo power amp and NHT Super One speakers on the computer desk for near-field monitoring). Associated antennas are also hidden on the outside deck (shhhhh!). So, here are some pics for the crossed-parallel loop. VE1ZAC web site has all the references if you want to explore further or google him. Mine is purely a prototype and not finished. And should eventually be placed on a rotor (but how to keep my Nazi-like condo association from finding out?!?!?!?). It is three 14 inch quilters hoops from Joann Stores plus some 1-inch copper strips cut from a small 2 meter roll of thin copper from eBay. Then, it is wired in parallel with silver-plated aviation wire on each side with a feed in the middle. Not an optimal placement of the feed, (should go straight down along the pipe). Will fix things up whenever I get some more time. Seems to be an efficient way to prototype small loops. It is now mounted on a short ¾” inside diameter PVC pipe into a cheap plastic sand-filled deck-umbrella stand. Loops are light and somewhat flimsy, so I mounted the three loops on a plastic triangle ruler and dowel sticks glued to the sides for some extra strength. Good enough for now. The BHI DSP filter is useful in some circumstances but I find it fatiguing to listen to. The audio from the Sattelit 800 is so nice, I mostly like it without the DSP. The DSP narrows the bandwidth significantly, somewhere around 4 kHz or less from my hearing. I like that the Grundig has two tone controls. And it also has a stable SSB and on very strong signals with clear audio, I like to listen with SSB lower or upper sideband. But the DSP is useful at times for hash-like noisy signals; it is not quite as good on buzzing noise and I wish the Satellit 800 had a noise blanker, but that would have been a more costly purchase, like a Drake R8A. So, in a nutshell, I have a discovery about noise here: it is all around me and ubiquitous, like the air I breathe! I find it hard to null and also worry about peaking a station signal at the same time. However, I do have a lower noise floor with the experimental loop sitting outdoors, especially on medium wave (the Wellbrook amp + loop works great on the lower frequencies – am able to get eight different medium wave stations carrying Major League Baseball games at night – it would be nine to get WFAN for the New York Mets but the local Chicago Cubs station covers the adjacent frequency with horrible digital hash! ***Bleeping*** digital junk!). Also, the signal level is noticeably lower using the loop. Then, add in the effect of the MFJ Noise Canceling unit, the usable signal gets even weaker. The bottom line is, I can now finally enjoy listening to many SW broadcasts, BUT only the strongest signals. Anything else is still hopelessly lost in the noise. So, gains are limited. On the other hand, and something else I learned by doing is that, any 1 or 2 dB signal/noise ratio improvement will help with the final audio output in the end product. Using low-noise amps, loops, noise canceler, preselectors, grounded connections, ground isolators at the input of every receiver, high quality stereo amplifier and speakers, tone controls, SSB vs. AM Sync, weird antenna configurations, etc, etc. It all helps in the end to some degree. Tinkering is an art that involves a lot of thinking/doing iterations! And high quality parts must be used all along the chain or it could degrade the signal. Below are some audio samples, not very well recorded, but can give some idea of the incremental improvement with each enhancement (turn up the volume). NOTE: other people may get better or worse results depending upon individual situations, type of antennas used, etc, etc. Recording 1: R. Marti. First 10 seconds an indoor antenna with no noise reduction, second 10 seconds the outdoor loop without the MFJ-1026, the third 10 seconds with the MFJ-1026, then switched off and on to hear the difference. Recording 2: R. Marti. MFJ -1026 is ON. Last 15 seconds is SSB, very thin sounding. Really only good for strongest signals. I liked the AM Sync better (Satellit 800 is really a Drake SW8 in disguise with a quality AM Sync). 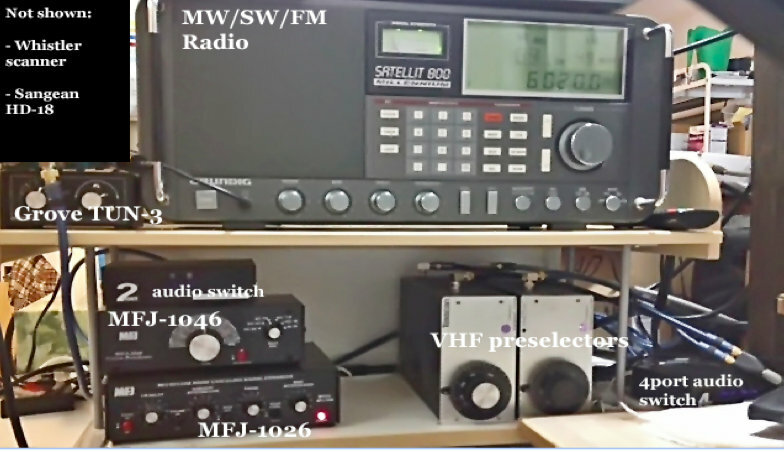 But, SSB can sound excellent with very clear voices with a steady and strong signal (The Satellit 800 does NOT have IF-shift or a BFO to fine tune an SSB reception, so the station must be exactly transmitting on the kHz mark, which most are nowadays). Recording 3: R. Marti. MFJ-1026 is ON. Last 20 seconds you hear me switch in the two audio switches and the BHI DSP is on its lowest setting. Narrower and clearer with some reduction of background noise. I find I only like going up to about 4 on the DSP dial, after that the audio fidelity starts getting more choppy with digital artifacts that sound like dripping water. I tend to like higher fidelity. One nice thing about the BHI DSP is a faux-stereo that helps a little with voice intelligibility by helping the brain naturally filter the noise. Faux-stereo is ON even when the noise reduction circuit is manually turned off (power must be on and bandwidth still sounds narrowed). Recording 4: R. Nacional Brazilia. First without MFJ-1026, then ON, then OFF, then ON, then with the BHI kicked for the last 20 seconds. Recording 5: Greece. Switching the MFJ-1026 on and off every 5 seconds. In this particular case, the signal was weak and fading a lot. The MFJ OFF was also weaker than with it turned ON. That is interesting behavior, usually it is opposite. It pays to play with the settings a little. At other times, and less frequently, the MFJ unit turned OFF sometimes sounds better than with it ON and tuned for less noise. Go figure! After all the tweaking is done, and I cannot get any more performance out of this, I will probably have to move to a nice, quiet neighborhood and setup a nice antenna farm!! In the meantime, I do enjoy listening to the stronger stations from North America, Cuba, Brazil, Europe, and Australia with less noise than before. Once again, Tom, thanks for sharing your RFI elimination journey! I love how you take on this noisy problem by experimenting and seeing it more as a challenge than an obstacle to enjoying your hobby. Great job! This entry was posted in AM, Antennas, Guest Posts, How To, News, Radio Modifications, Radios, Shortwave Radio, SWLers and tagged BHI Compact In-Line Noise Elimination Module, Bonito GI300 Galvanic Isolator, Grove TUN-3, Grundig AN200, Guest Posts, How to eliminate RFI, Low Profile Antennas, Low Profile SWL Antenna, MFJ 1026, MFJ-1046, Par Electronics EF-SWL, QRM, RFI, Shortwave Radio, TomL on October 24, 2016 by Thomas. My interest in radio listening has been rekindled after a long hiatus in parallel to my dwindling interest in Mainstream Media. It is now about 8 years without cable TV and I seriously do not miss it, especially with the evolving nature of discovery with respect to other forms of media. SWL radio was important to me in my formative years during the Cold War; fascinating were the many ways governments used shortwave radio to influence populations, each with their own brand of propaganda! Young people today know nothing about the endless (and entertaining) tirades of East German editorial commentaries denouncing the evil, decadent West. Or, of the free, large-sized envelopes full of travel and promotional brochures, pennants, bumper stickers, and booklets sent from the government broadcasters such as Poland, Hungary (yes, communist countries! ), Australia, Netherlands, etc. just for sending in one simple QSL report!!! I quickly realized that those days are gone forever, consigned to a period of history where radio was THE main method of disseminating copious amounts of government propaganda to very large swaths of humanity. Now, the internet and cable TV fulfill that function in a much more CONTROLLED manner, both technically and socially (Big Brother like). So, I have diversified my interests and have an unusual listening station. It is multiple things in one small space. You see, I live in a very small condo in a noise-plagued environment with only a 2nd floor wooden deck (owned by the Condo Association!) in which to put up any outside antennas. Only a single “Dish” type antenna is allowed. So my shortwave antenna needs to be well hidden. Same for the TV antenna, since I also have a north-facing deck, I cannot have any line-of-sight to the Southern sky for a Dish. The first wire antenna strung from the top and brought inside was a dismal failure receiving nothing but noise. I gave up for a couple of years. I built a loop TV antenna and mounted an FM antenna instead since those were less susceptible to noise issues. Also recently added to this station are two cheap 4G antennas with wires into a single Verizon USB aircard plugged into my computer and getting up to 14 mbps performance. But, I still wanted to try shortwave radio again (and medium wave too) but the noise issues were very, very discouraging. S9 noise on some bands. Tried preselector, a noise “phaser”, different lengths. Nothing worked. However, I read something from an amateur radio operator in Northern California who had a space problem. He put up a helically-wound-vertical (HWV) antenna with radials for 160 meters (John Miller HWV antenna). I also read about various “broomstick” antennas. So, I tried my own version with an old RF Systems Magnetic Longwire Balun I still owned and NO radials. Put it together with a 2 foot long, 4 inch schedule 40 PVC pipe wrapped in 200 feet of 18 awg magnet wire. Well, still noisy but, at least now I had a portable antenna! So, I went camping in March of this year! Holy Cow, was it cold out but the helical antenna performed well enough to hear All India Radio for my very first time, a small 1kw Mexican station in the 49 meter band, and various others from Asia that were elusive for me in the distant past. I was finally encouraged again to continue my research. I did this a few more times and finally got tired of going camping just to listen to a radio! NOISE at home was still the big bugaboo to kill (and it still is). I read up on Common-mode noise travelling on ground and shield components of antenna systems. So I bought a bunch of toroid ferrites of different types to cover different frequencies (something about initial permeability….) to make my own homemade “Super RF Choke” to cover all frequencies made on a Home Depot Homer bucket lid, winding the coax 5 or 6 times through all the toroids, the full diameter of the lid. Measurements by Jim Brown published on the web (RFI-Ham.pdf), pages 32-33) indicate good choke performance using coax with these larger-sized coils. I still hoped to salvage the use of the HWV antenna. So, added the choke and noticed some improvement across most bands (less noise). Medium wave broadcast was not effective and decided that I did not want to keep tuning an antenna that HAD to sit outside to get away from the noise inside my listening station. I also shut off the power to my condo and found out which noise sources were mine vs. other noise that came from all the neighbors (very important step to do!!!). For instance, I did not know before that USB charging adapters are PURE RF-NOISE EVIL in an innocently small package?!?!?! I rearranged wiring to shut off certain devices and power strips when I want to listen to the radio! So, I kept reading. Found out about another magnetic balun from Palomar. Tried it but not impressed – performance was too lossy compared to the good old RF Systems MLB (what a great product that was back then!). Kept reading and found out good things about the EF-SWL from PAR electronics (product is now made and sold by LNR). The ground connections on it (and the Palomar) intrigued me. So, I decided to go to Hamvention for the first time, even though I was skeptical of finding anything useful, I told myself, I could at least buy the EF-SWL on sale (which I did). Installed EF-SWL to the HWV but no difference compared to the RF MLB. The antenna did perform better outside on the deck in the far corner, so there it still sits. Then, I hooked up the wire they gave me with the EF-SWL to the ground and it resulted in MORE noise. Then, took off the jumper (which connects the coax shield to the ground side of the balun) and connected only the middle post (balun ground) to the ground wire and a lot LESS noise resulted along with a small reduction in radio signal level!!! Finally some progress – the wire seems to be acting like an old-fashioned “counterpoise”, which is misunderstood these days. Apparently, back in the 1930’s-1950’s, people involved in radio knew the differences between an “earth ground”, a “radial system”, and a “counterpoise”. Technically, they are all different and their use is different as a result. Now, people moosh all these concepts together interchangeably which risks creating very ineffective antennas. Photo of installed EF-SWL at the bottom of the HWV with coax at the output, the red magnet wire input on top, the middle post for the counterpoise wire, and the coax shield post is unused. The HWV antenna now has 600 feet of 26 awg teflon wire on the outside PVC, an inside 3 inch PVC “sleeve” with 102 Russian ferrite rods, a 56 inch stainless steel whip at the top, and one inch hole through the center to accommodate the 7 foot PVC mount to my carbon fiber photo tripod when I take it camping again. So, I am on a new quest to understand counterpoises, how to actually TUNE them and, hopefully, how to use them to increase the performance of shortened antennas like my HWV (something about reducing the dB loss incurred by shortening….). 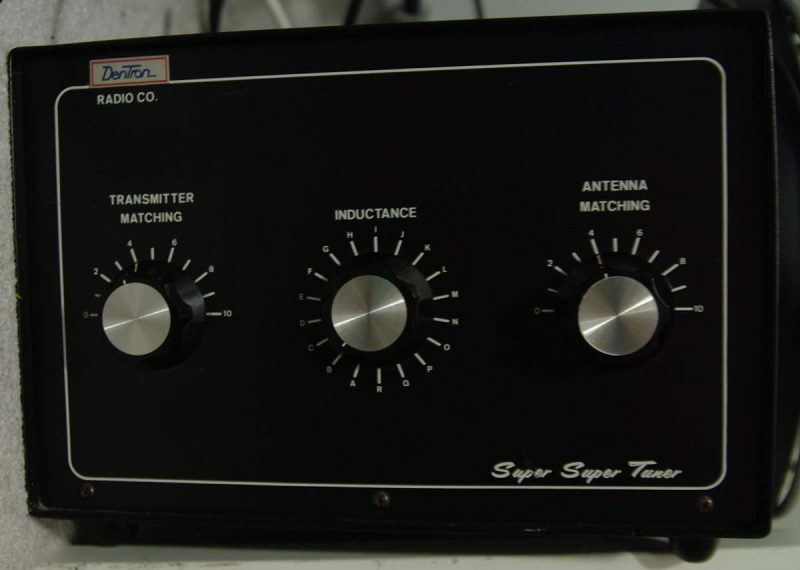 A second result I hope will be how to use the counterpoise to keep signal-to-noise ratio high at the same time (maybe with this used $100 Dentron Super Tuner bought at Hamvention?). Also bought at Hamvention (thanks Thomas W. for the tip!!) and installed Bonito’s Galvanic Antenna Isolator GI300. If input directly to the input of the radio, led to more reduction in noise and signal!! Too much actually, so I took off my Super RF Choke and now I had a better result compared to the EF-SWL with the RF Choke (slightly cleaner sound with less hissy noise). Apparently, the GI300 completely isolates the coax shield, better than my homemade choke! The requirement is to use coax from the feedpoint and not bare wire. I then placed a few clamp-on ferrites I bought from eBay to help with slightly higher frequency choking of the shield at various places on the feedline. Before Hamvention, I wanted to try out AM broadcast. I wanted to know more about this “FSL” antenna a well-known eccentric from Ireland (Graham Maynard FSL) developed before he passed away a few years later. So read up and bought a whole bunch of ferrite rods and tried different configurations. Well, my particular design did not work all that well because I did not follow directions for winding wire into a balanced design. So, I added all those ferrite rods to the 2 foot HWV (inside a 3 inch thin-walled sewer PVC pipe). The antenna is louder down to about 3 MHz with a stronger signal (including noise) than without. I do not have measurements, and find it too time consuming to document. Maybe one day, I will compare and document by sliding the ferrites out on the 3 inch PVC and measure actual signal levels. The ferrite sleeve seemed to pick up MORE noise and radio signal than without it. So, if you need more signal strength in a small package below 7 MHz, then the idea seems to have merit. But since it increased noise as much as radio signals, it has limited usefulness to me. I do have another project where I will put ferrite bars onto a tuned medium wave loop antenna (Tecsun AN100) that is much more portable and directional. The bars and loop were both relatively inexpensive from eBay. The ferrites change the tuning lower, so I have to figure out how to make it tune higher again……. Photo of unfinished MW loop project. For shortwave, I still pick up mostly noise on many bands. With the uncalibrated S-meter on the ICF-2010 – 49 meters is around S1 (before about S3). 31 meters is MUCH improved and is now listenable to stronger stations (S2 instead of S7 noise!). Even 19 and 16 meters is improved from S6 to S7 down to about S3 now – noise still too annoyingly loud to understand any language being spoken however. And forget about DXing from this location! Will have to go camping again soon. BUT, listening now to Voice of Greece, Radio Nacional Brasilia, or Radio Romania International is a much cleaner sounding experience than just a couple of months ago. They are there to re-discover and appreciate, even though many speak a foreign language and I do not understand a word they are saying! Also, there is the odd observation (like just this morning), that I can actually learn to enjoy listening to Country Music if it is the unique sounding Australian flavor!! Do I miss cable TV?? Not a bit!! 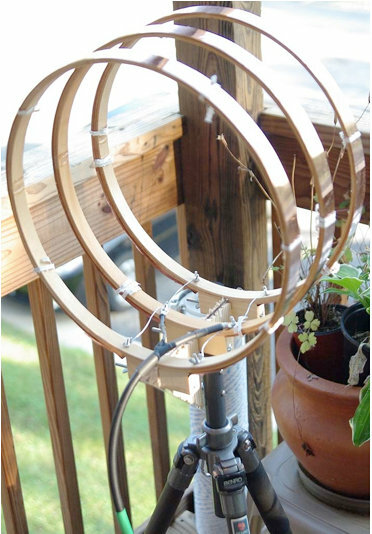 Maybe a real loop antenna, BUT it has to be remotely tunable and remotely turnable and small enough to HIDE. MOAR big bucks, sigh…. Many thanks for sharing your experiences, Tom! Also, it was great meeting you at the Hamvention this year. I must say that there is something to be said for brute-force experimentation when it comes to mitigating radio interference. I hope you keep us posted as you continue to experiment and improve upon your unique listening system. This entry was posted in AM, Antennas, Guest Posts, How To, Mediumwave, News, QRM, Shortwave Radio and tagged Bonito GI300 Galvanic Isolator, Grundig AN200, Guest Posts, How to eliminate RFI, Low Profile Antennas, Low Profile SWL Antenna, Par Electronics EF-SWL, QRM, RFI, Shortwave Radio, TomL on June 5, 2016 by Thomas. I bought the AN-200 in the spring of 2015 off of eBay. I was favorably impressed with the product. Comparing it to my old 9′ diameter tuned/shielded loop from 1992, there are some similarities and differences. I live in an apartment complex so plenty of radiated electromagnetic noise is present. 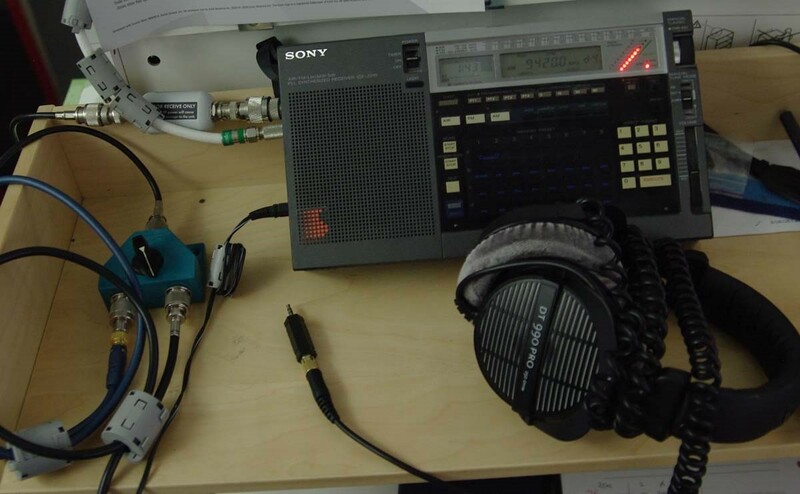 I use a modified [Hallicrafters] SX-96 (AVC ckt was modified for improved modulation acceptance). The AN-200 does null out local static sources, somewhat, but not well enough to dig out weak stations. The tuning range for the loop is just at the bottom of the AM band (about 535 khz) to just over 1700 kcs. On a whim, I wrapped aluminum foil around the loop and grounded it to the SX-96 chassis – in wistful hope of achieving some shielding from the RF has. As soon as I connected the aluminum foil ground clip to the rx chassis, all RF noise ceased and signals appeared from the mud. However, the tuning range is attenuated above 1200 kcs. My favorite frequency on the AM band is 590 kcs. During the night, as many as seven different stations rose from the noise and provided station IDs at just the right moment. My best catch here in Everett, WA is KCSJ, a 1KW station in Colorado Springs. From time to time, stations on the low portion of the AM band are accompanied with echoes – what I took for two stations and a small time delay between the same broadcast was actually multi-path to the degree that nearly 1/2 second separated the arriving signals. Short-delayed echoes, anyone? I’ve not observed this on frequencies above 1000 kcs. Other sources of RF noise can come from the laptop, the cable modem, and even CFBs in other rooms. For truly noise-free listening environment, I place the laptop in sleep mode and unplug the cable modem. I’m quite happy with the AN-200 loop. 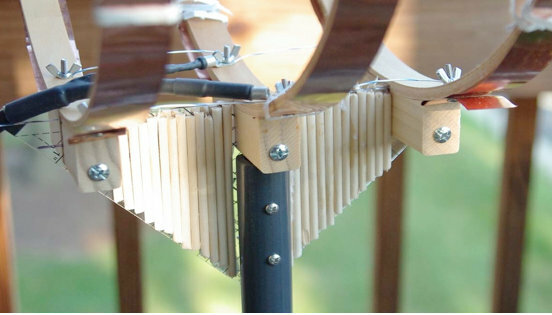 Affordable, easy to use, easy to tune. Thanks so much for sharing your experience with the AN200 loop antenna, Larry! As anyone who grew up in the era of TV rabbit ears knows, aluminum foil can simply work magic in a pinch! There is no easier material to work with either! The Tecsun equivalent of this antenna (the AN100) is available from various sellers on eBay from about $15 – $30 US. The Kaito AN200 (Kaito’s branded version) is available on Amazon for $30 shipped. 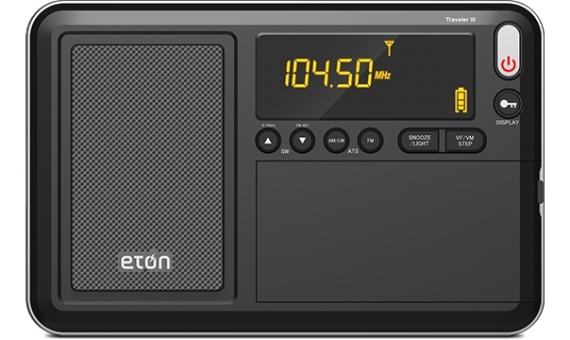 With the purchase of the Eton-Grundig Traveler III, Eton-Grundig Field, or Eton-Grundig Satellit, Universal Radio will include a free AN200 with your purchase. This entry was posted in Accessories, AM, Antennas, How To, Mediumwave, News, Radio Modifications and tagged Grundig AN200, Hallicrafters SX-96, Kaito AN200, Larry Caracciolo, Magnetic Loop Antennas, Tecsun AN100 on March 31, 2016 by Thomas. 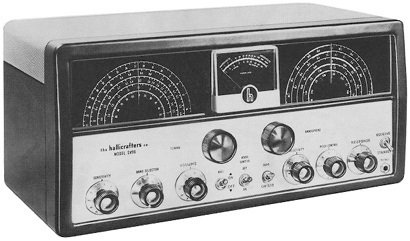 This morning, I noticed that Universal Radio is now bundling that AN200 medium wave loop with the purchase of a Eton Traveler III. I’ve had an AN200 for years and it does make quite a different when inductively coupled with portable radios. You simply set the AN200 next to your portable radio, tune your radio to a station, then adjust the AN200 tuning knob for maximum gain. It’s pretty impressive, especially when used with radios hat lack a good ferrite bar antenna. Gary DeBock gave the Eton Traveler III high marks for medium wave reception (less for shortwave, though) in his recent Ultralight Shootout. Click here to view this deal on Universal Radio’s website. This entry was posted in AM, Antennas, Mediumwave, News, Retailers and tagged Eton Traveler III, Grundig AN200, Universal Radio on March 25, 2015 by Thomas.